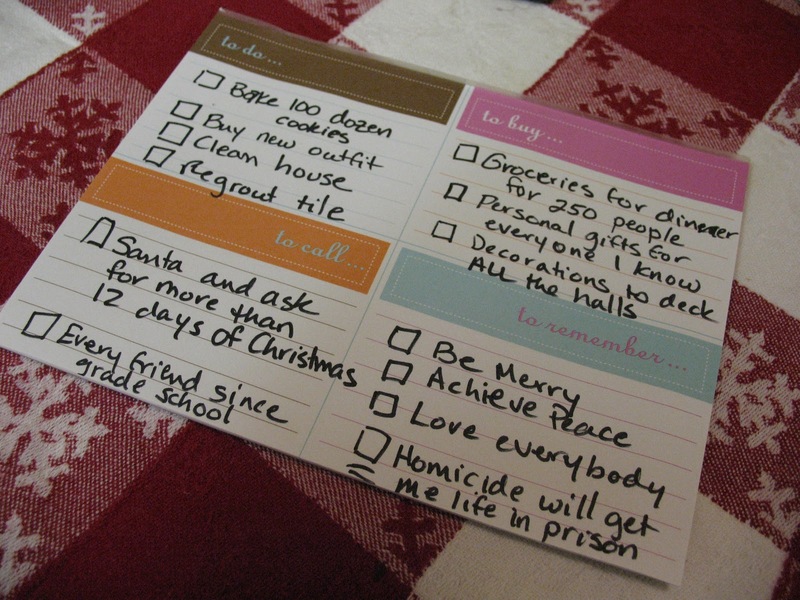 I’ve noticed that several people have gone back and found a particular blog post I wrote two years ago about doing triage on your holiday list. And in honor of my previous post about Holiday Peace, I thought I’d repost it here for you. Hope you find it helpful and Happy Holidays! Happy New Years my little chickadees! P.S. Want to make sure you don’t miss any of the awesome? Click the button above and Follow This Blog! P.S.S. Want to get in on super fun new projects and get free stuff? Join my mailing list HERE. This entry was posted in Uncategorized on December 23, 2014 by fatchicksings.